Series of math and English quizzes. 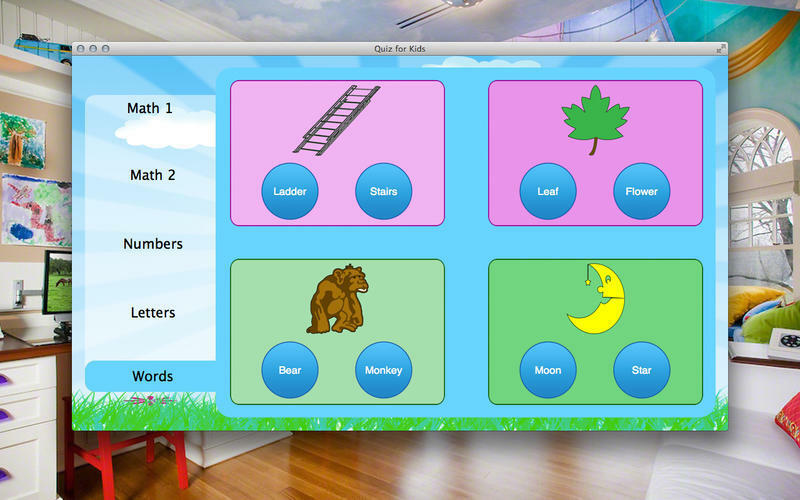 Is there a better alternative to Quiz for Kids? Is Quiz for Kids really the best app in Teaching Tools category? Will Quiz for Kids work good on macOS 10.13.4? 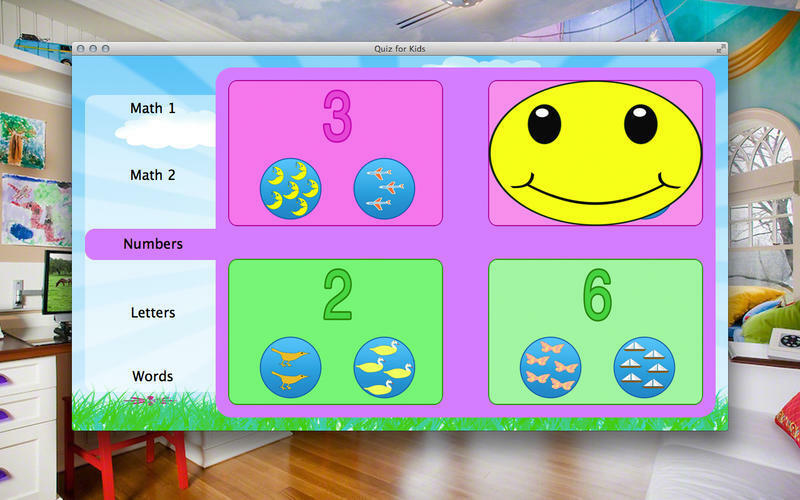 Quiz for Kids will help your children improve their knowledge of math and English through a series of quizzes. Quiz for Kids needs a review. Be the first to review this app and get the discussion started! Quiz for Kids needs a rating. Be the first to rate this app and get the discussion started!